This is a long-waited reprint of the valuable collection of materials left by Saul Bass (1920 ? 1996), the leading designer of the 20th century America. The essence of Saul Bass including his representative CI’s, graphical works, and movie titles, are collected into one book. 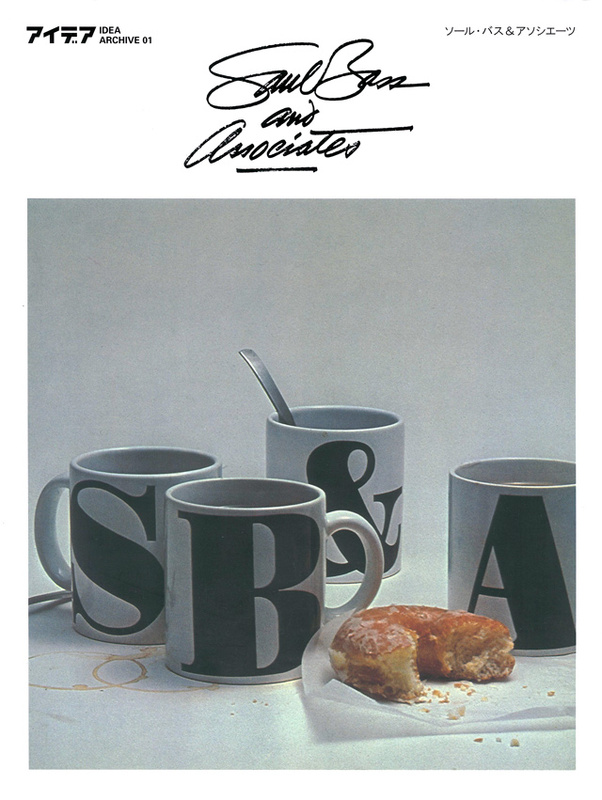 This book is a complete reprint of “the additional volume of Idea Maganize Saul Bass & Associates” published in 1979. Bass’s masterworks including graphic designs and images created in his prime of time are compiled along with detailed descriptions and explanations by Saul Bass himself. Surprisingly, not many compilations of Bass’s work have been published. In this sense, this reprint is valuable material on Bass. The page design by Saul Bass and his staff members is also splendid. Saul Bass continuously created many masterpieces of graphic design since the 1950’S. Bass created logos and identity designs for many prestigious American companies including AT&T, Bell Communication, United Airlines, and Warner Communication. He has also created many designs for Japanese companies such as Kose and Jomo, which are, today, part of our everyday lives. Saul Bass’s creative work had gone beyond the borders of graphic design. Bass is one of the first designers to expand his activities into the fields of images and animation. Bass created many masterpieces of movie posters. He is also well-known for bringing a completely new style to the title designs of movies, which until then were merely lists of names of the directors and actors. Bass’s designs for movies such as “West Side Story,” “Psycho,” “Vertigo,” “Bonjour Tristesse,” “The Man with the Gold Arm,” and “North by Northwest” are, today, still full of refreshing surprises. The Idea Archive is a series of reprints chosen from design-related books and magazines published by Seibundo Shinkosha Co., Ltd. over the last 50 years. The Idea Archive is selected with the objective to share these publications with readers in the future.